When your commercial air conditioning unit breaks down, it can be a disaster. You need your HVAC system to operate reliably, especially during the long hot summer months. When air conditioning fails, workers may have to go home, and you lose valuable time. With Enertia Heating and Cooling, you can get improved uptime with a partner that can repair systems when faults occur and ensure that similar things do not go wrong in the future. Enertia is here to meet all your commercial air conditioning repair needs in DFW Metroplex. We’ve worked with practically every kind of system on the market and can help you repair defective cooling units, fans, and compressors. When your business requires rapid repair and short turnaround times, you can rely on Enertia to get the job done. Speak to us today about the repair services that we offer and how we can help prevent your company from experiencing issues in the future. At Enertia, we’re commercial business owners just like you. We understand, therefore, how important it is to keep your HVAC systems in a good state of repair. When heating and cooling systems fail, they can jeopardize your business, lead to losses in productivity and put customers off entering your premises. Unlike most commercial air conditioning repair firms in DFW Metroplex, we forge a partnership model based on the strategic needs of your firm. We understand that a functioning air conditioning system isn’t just something that’s “nice to have” but an essential part of your firm’s overall strategy for success. Without adequate air conditioning, you’re at a severe disadvantage. It’s our job to help turn that disadvantage around and make sure that your systems continue to work reliably both now and well into the future. At Enertia, we believe that air conditioning repair services should be highly professionals. 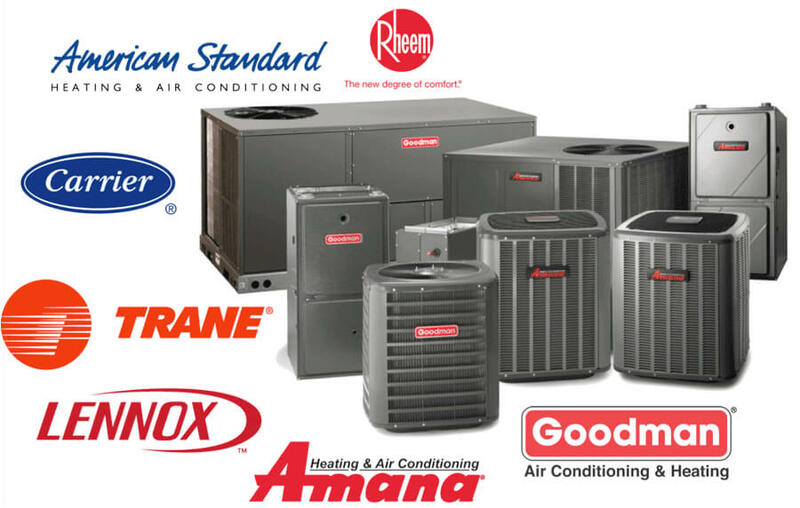 Our engineers have experience repairing practically air units from major brands, including Goodman, American Standard, Rheem, Carrier, and Trane. It doesn’t matter what kind of system you have installed at your DFW Metroplex business; we can source parts and provide repairs quickly and effectively, often restoring your systems on the same day. Our professionalism extends to all aspects of our service. We are fully licensed to carry out repair work on all refrigeration units. And we have insurance that protects your business in the event of a problem. Over the years, we’ve repaired air conditioning units at many commercial enterprises in the DFW Metroplex area. Now dozens of companies have experienced the Enertia Heating and Cooling advantage, and you could be among them. We’ve repaired air conditioning units at hotels, schools, cafeterias, universities, supermarkets, delis and assisted living communities. No other HVAC repair company in the DFW Metroplex area has that level of experience. Our network of customers is thrilled with our rapid repair service. Why not join them? Get in touch with us today to find out how we can put your air conditioning hardware back in working order.